“How are you doing, Earthling?” That’s how Omer Coleman, Jr. addressed his public in the 80s, driving around Kansas City, Missouri in the electric space-car built especially for his alter ego Starship Commander Wooooo Wooooo. 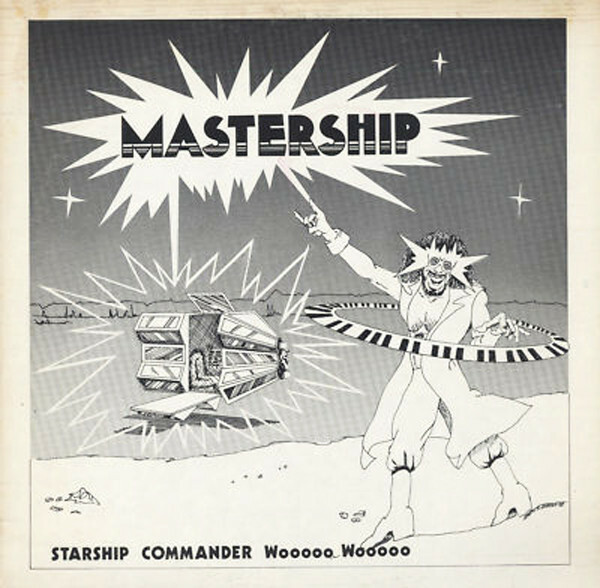 "Left Ear Records went back to Coleman’s original master tapes for their vinyl reissue of the Commander’s 1981 private press albumMastership, a lost electronic funk classic. Coleman performs in an alien voice that comes not from electronic filtering but from his own natural vocal distortions. This visitor from Mars wants people to be happy and, like his song goes, “Laugh and Dance.” It’s an endearing and very personal space-age funk that blends George Clinton and Kraftwerk in a vision of a better and happier world. Born and raised in Kansas City, Coleman was musically inclined from an early age. His parents couldn’t afford to buy him a real drum for orchestra, so he took up electrical wiring and wood shop instead, which fed his muse in a different direction. Omer built enormous speaker cabinets. In the late ‘70s he was a DJ, and ran a Mobile Disco business that took him across the country, hosting parties. After a trip to California, he came back to Kansas City inspired to dress up as Commander Wooooo Wooooo. The future commander began working at the Armco Steel Mill in Kansas City when he was 18. He was inspired by older machinists who demanded perfection in their work and in their character. It was while he was working at the steel mill that Coleman came up with Starship Commander Wooooo Wooooo. One day coworker John Manley came up to Coleman with a vision of an electric car, and built it. His coworkers built all of his equipment, from lighting and fog machines to big steel eyeglasses. Coleman’s sister, a seamstress, created his outfits."